Sturgate Airfield is located 4 miles to the east of Gainsborough, between the villages of Upton and Heapham. (Pic: Allen Walker). A late-comer to the war, it was opened in March 1944 as a standard bomber airfield. The three intersecting runways were laid out in a near perfect inverted ‘A’ pattern. The bomb stores were located to the north-east, the access to track crossing Common Lane to join the northern perimeter track. The technical site was on the south-west corner and contained two T2 hangars. The B1 was off the northern perimeter track. The communal and accommodation sites were dispersed to the west around Upton. Sturgate was fitted with FIDO fog dispersal equipment. 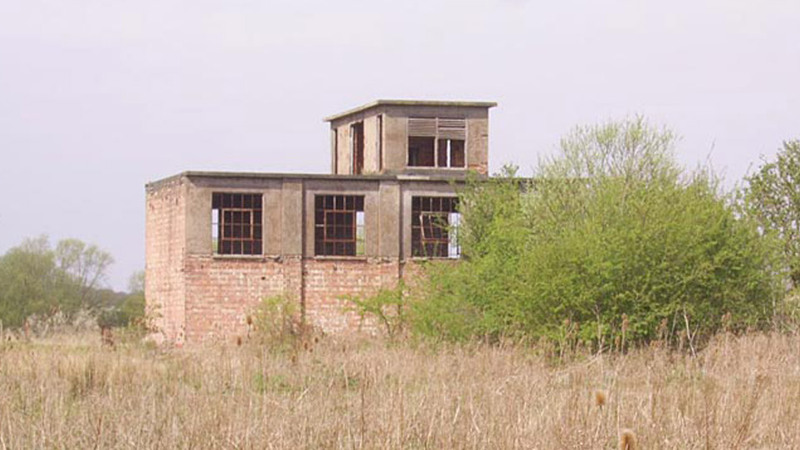 During WWII, there were no front-line operational RAF squadrons based at Sturgate. The first unit, 1520 BAT Flight (Beam Approach Training), arrived with their Oxfords from Leconfield, East Yorkshire in September 1944. After the war in Europe, 50 Squadron and 61 Squadron arrived from Skellingthorpe on 16 June 1945, leaving for Waddington on 26 January 1946. The airfield was used as a fighter station between 1952-64 during the Cold War. Today flying takes place at Sturgate using two sections of wartime runway (Lincoln Aero Club). 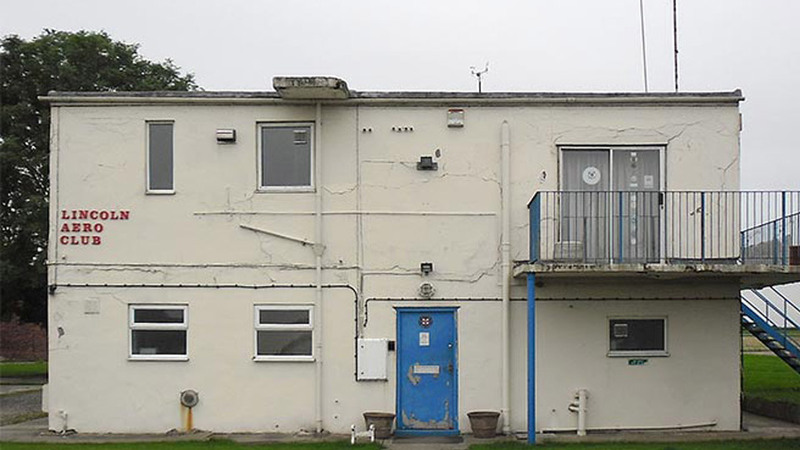 Amongst other, the watch office, NFE store and floodlight, trailer and tractor shed still stand, as do parts of the accommodation sites.